Wage overpayment errors can occur for a variety of reasons, including timesheet mistakes from employees, supervisors missing a detail when approving timesheets, clerical errors, or a payroll system malfunction. Whatever the reason for the error, employees are not necessarily entitled to keep the overpayment. The following can help the recoupment process go more smoothly. Many employers require supervisors to review employee timesheets prior to submitting them to payroll. While your company may have a policy on timely and accurate time reporting from employees, mistakes can be made, and your supervisors should be reminded of their front-line responsibility to verify timesheet accuracy. You can also encourage employees to take an active role in verifying paycheck accuracy. This may be easier said than done — many employees paid through direct deposit may rarely or never look at pay stubs, relying only on the fact that a deposit is made into their bank account. However, encouraging employees to review their pay stubs when they receive them can help identify potential errors. The good news is that most overpayment errors are easy to notice. An unusually large deposit is a clear red flag, but when reviewing their pay stubs, employees may also notice overtime pay when no overtime was worked, or a bonus credited to their account when no bonus was due. When an employee does suspect an error was made, whether they alert their supervisor or the payroll department directly, they should know your policy on reporting the error. Employers are not required in all cases to have an employee’s permission to recoup a wage overpayment. It may, however, be in your best interest to notify employees when an error has occurred and to document a recoupment plan with employees. Email or send a letter (or both) to employees to notify them of the error and offer several options for recouping the overpayment. Options can include a repayment from the employee through a personal check, a one-time deduction from the next payroll, or a graduated repayment plan, agreeable to both you and the employee, over several pay periods. The graduated pay plan may be easier for an employee to handle, especially if the overpayment occurred several pay periods ago and the employee has spent the money. Not all employees will have enough money stored away to manage the one-time repayment. Working with the employee to make payments over time can alleviate that financial burden. Whatever decision you make, the agreement should be signed by both you and the employee. 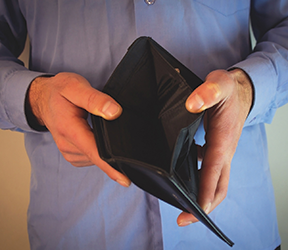 Under the federal Fair Labor Standards Act (FLSA), employers don’t need an employee’s permission to recoup wage overpayments. The law requires that nonexempt employees be paid minimum wage and overtime for hours actually worked. The Wage and Hour Division (the agency enforcing the FLSA) considers an overpayment a loan or advance of wages to the employee. Because of this, the Division allows an employer to freely recoup the overpayment on the next paycheck without permission from the employee. State laws, however, may impose greater restrictions. While some states follow the same rules as federal law, some states (Indiana and Washington, for example) require you to give advance notice to an employee before recovering the money. Other states, (like Virginia) require employee authorization prior to recouping the overpayment. Some states do not allow you to recoup overpayments at all; New York and Oregon, for example, prohibit recouping the overpayment because the law does not specifically allow for it. Wage overpayment errors can and will occur, but employers have options when trying to recoup payroll errors.